TURE WIRELESS STEREO: Portable Stereo Sport Headphones, Sports Headsets Lightweight Earbuds With Mic for iPhone Samsung HTC and other Bluetooth devices. SUPERB SOUND QUALITY: High Quality Chip for Stereo Sound and Bass Sound .Clear High & Low Volume . It's Easy To Take and Make Calls ,Voice Dialing with Superior Microphone Quality. Ideal for Car Calling and Friends Chatting, or Working Use. CVC 6.0 NOISE CANCELLATION TECHNOLOGY: It has excellent noise cancellation technology with the use of CVC6.0 depth noise reduction. Bilateral stereo APT-X lossless sound quality, it provides a shock enjoyment with entering the ear in a deep bass voice. The sound hole design reduces an echo back of sound waves, making the sound room more pure and the high, medium and bass more harmonious. 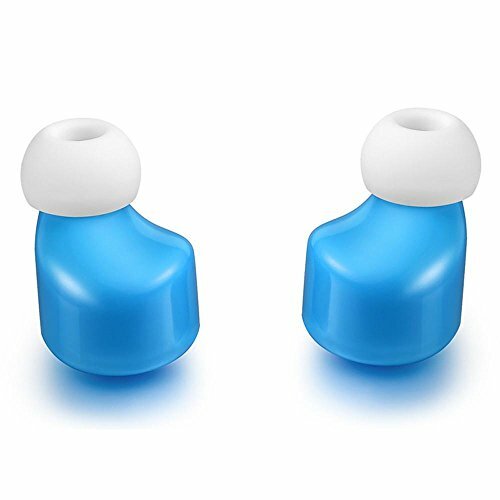 COMFORTABLE AND SECURE: Ergonomically designed with gel flex silicone earbuds to ensure your headphones stay comfortably firm in place to guarantee fatigue free ears and tangle free comfort. If you have any questions about this product by Greatgiftlist, contact us by completing and submitting the form below. If you are looking for a specif part number, please include it with your message.